I have special visitors at the blog from Australia to introduce you to today. Vania has stopped by with her handsome dog Rex. I know you will enjoy meeting them here! Abby: Who is your pet? Vania: My dog is a labrador/golden retriever cross called Rex. Abby: Is there a story behind your pet's name? Vania: Yes. My late Mom named him. She loved a tv program called Inspector Rex which featured a police officer with his German Shepherd police dog. It was her favourite show, so when we got the little pup she named him after her favourite tv dog. Abby: What is the funniest thing your pet has done? Vania: Rex loves water and mud patches so I have to make sure to keep him away from them. The other day he was running and playing in the park and I didn’t see a little mud patch and in a flash his was in there, rolling around and having a great time. His golden coat was all black and muddy. Abby: Has your pet had any adventures? Vania: Rex loves adventures. He loves riding with me at the back of the car. He’s a celebrity down at the drive-through McDonald's. When I drive in all the staff come to the window to greet him and take pictures. Together we’ve discovered many parklands that we didn’t know existed, he loves exploring and loves water. Abby: What do you and your pet do for fun? Vania: We go for walks and runs in the park and play tug of war. Oh and did I mention food, he loves to eat and loves bananas and mangoes. He also loves to play with his doggie friends in the park. 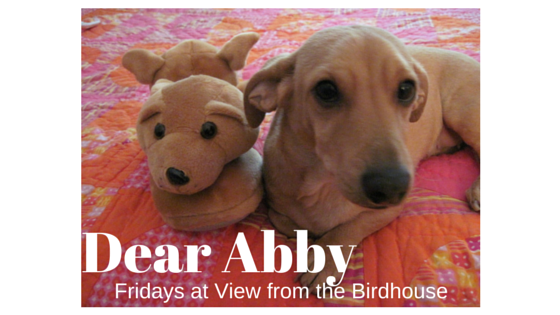 Abby: Does your pet have any favorite, special toys? Vania: He loves his soccer ball and his rope tug toy. He did have a squeaky duck that we called “Mr Quacker” but poor Mr Quacker had his head bitten off . Abby: What are some special things your pet can do? Vania: Did I mention eating ? As soon as I mention a walk or a ride , he is running around in circles and goes and grabs his leash. Abby: What are your pet's most lovable qualities? Vania: Rex is a very social boy and loves to play with every dog. He is a gentle giant and plays with kids. He is also a Mommy’s boy and he sleeps on my bed. In winter he loves to be covered in a nice warm blanket. Vania, thank you so much for visiting my blog! I loved learning more about Rex. He is such a sweet boy! It is wonderful that he is so good with children. It sounds like he also loves his trips to the park! Friends, if you have questions or comments for Vania, you can leave them in the comments below. I hope you have a wonderful weekend! It is beautiful here after one very stormy day this past week. We used to have dogs and certainly miss them. That one is absolutely gorgeous! Rex is adorable! I never understand how some people don't fall in absolutely head over heels for dogs... I see pictures and I just want to pet and hug on them! Our family's first dog was a Golden Retriever and now we have Daisy, our yellow Lab. No wonder Rex is so sweet and adorable, being a mixture of those two breeds! Happy to meet you, Rex. Great interview, Abby! Awww! Rex is a cutie! I used to have a black lab and have always loved Goldens! Rex is a beautiful dog! He certainly looks well taken care of, happy, and loved. Another great interview, Abby! 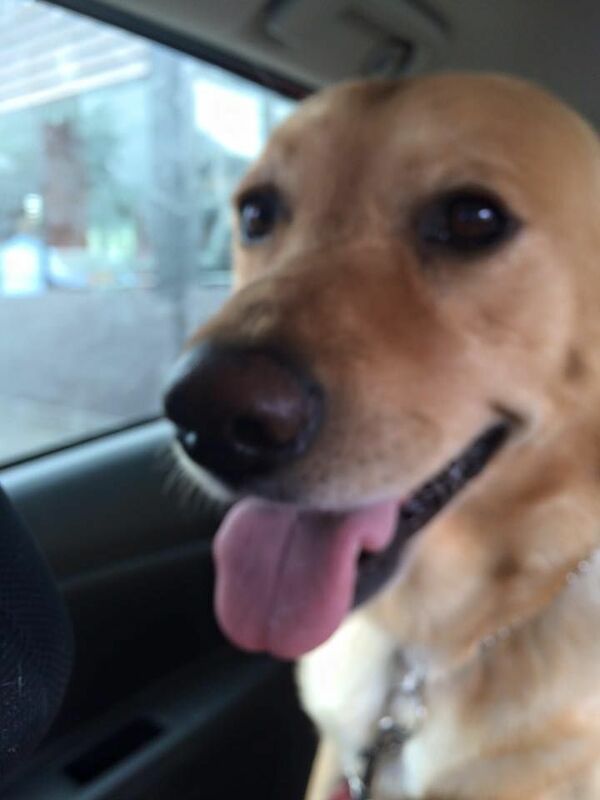 Abby, thank you for introducing us to your fur friend Rex. He sounds like quite the character and a wonderful companion. I especially liked the part about his trips to the McDonald's drive-thru. I can just picture the staff waiting to see him and take his photo! Thanks, all! I'm so glad you stopped by and I'm very glad you enjoyed meeting Rex. Barbara, I also can just picture the McDonald's workers taking pictures at the drive thru!